Unpaginated. No dust jacket. Pictorial paper-covered boards. Mostly clean pages with moderate tanning and foxing throughout. Former owner's name and inscription to front endpaper. Occasional finger marking to page edges, and sticker marks to paste-down. Some minor dog-eared corners, and a few nicks to text block edges. Cracked guttering with firm binding. Boards are moderately tanned. Rub wear to surfaces and edges with crushing to spine ends and bumps to scuffed corners. Mildly bowed. 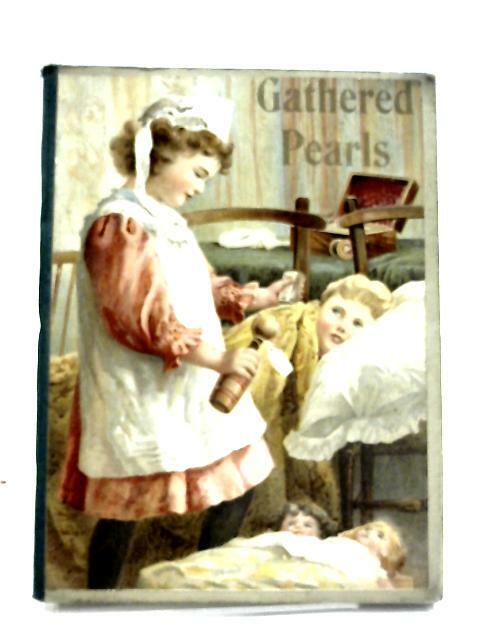 Gathered Pearls: or, "Trophies of Grace from Many Lands."